The Cascade Lever Collection by Faucet Strommen is a premium range of finely crafted solid brass tapware. These beautiful taps feature the stylish lever handles turned from solid brass and are fitted with the 1/4 turn ceramic disc valves for smooth, precise action. This simple, elegant range is designed and built in Australia with uncompromising attention to detail. Cascade tapware covers many models for bathroom, kitchen and laundry and is perfectly matched by the classic Cascade bathroom accessories. 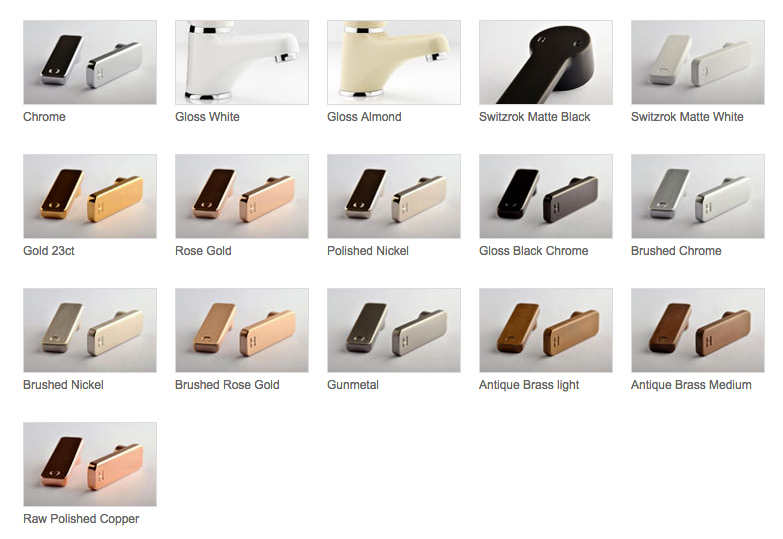 Also available as white tapware or powder coated tapware, this range suits a range of styles as well as uses. Cascade is covered by a 15 year warranty. Faucet Strommen product is available in 16 finishes from Chrome to Antique Brass, Black, Rose Gold and Raw Antique Copper to name a few. Basin set, Hob sink set, hob spa set, wash machine tap, wall mount, wall bath outlet, hob basin outlet, shower head (overhead and arm), towel rail, robe hook, soap basket, glass shelf, toilet roll holder, guest towel holder, toilet brush and holder. Cascade also available in Cross Head. Contact our store for more information of how we can tailor this range for you.